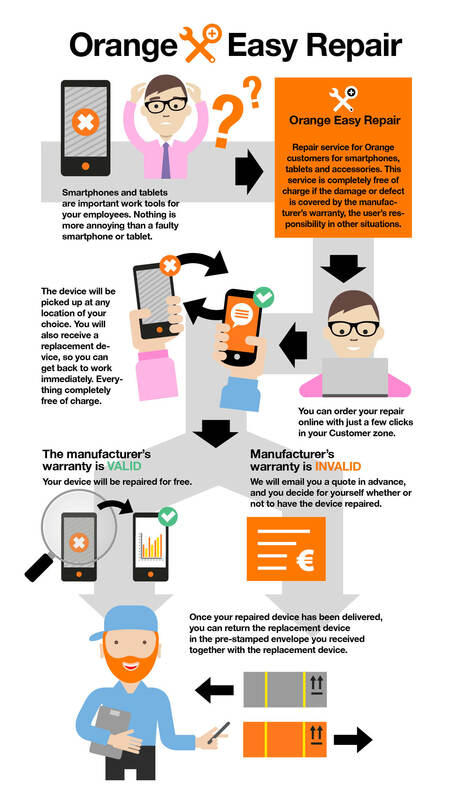 If one of your employees’ smartphones or tablets is broken, and you want to have it collected and repaired without any hassle, count on Easy Repair. Take me to the Customer zone. Learn more about Easy Repair here.